Skyline of Riyadh, Saudi Arabia. After our successul 'Past Present and Future of Public Space. Knowledge sharing toward implementation of the New Urban Agenda' international symposium and workshop held at the Venice Architecture Biennale on September 22-23, attended by 100 participants from more than 25 international University and Institutions, we spent the last three months of the 2018 in expanding our knowledge on public space, through engagement and participation in networking and research events, and in consolidating our projects and initiatives. - she was invited to serve as keynote speaker at the International Conference on Urban Conservation promoted by Centre for Built Environment, a registered non-profit professional society in India, that took place in Kolkata on November 26-27 (she could not attend but she sent a pdf presentation that was displayed during the conference). We are very glad to announce that City Space Architecture has signed an agreement with La Biennale di Venezia for the 16th International Architecture Exhibition - titled FREESPACE, curated by Yvonne Farrell and Shelley McNamara - in order to be included in the 'Biennale Sessions', a special program for Universities and Higher Education Institutions. This collaboration is intended as a continutation of the successful 'Biennale Session' we promoted in 2016, where we announced our participation at the Habitat III conference in Quito and officially launched 'The Journal of Public Space', in collaboration with the Queensland University of Technology and in partnership with UN-Habitat, the United Nations Human Settlements Programme. The 3-day event this year, ‘Past Present and Future of Public Space. Knowledge sharing toward implementation of the New Urban Agenda’, on September 21-22-23, is willing to strengthen our efforts around the implementation of the New Urban Agenda adopted at the Habitat III conference and to continue the discussion on the importance of public space in cities. - three collateral events: the visit at the Cyprus pavilion 'I'm where you are' with the curator Yiorgos Hadjichristou, the visit at the Irish pavilion 'Free Market' with the curator Tara Kennedy and the visit at the Dutch pavilion ‘Work, Body, Leisure’ with Marieke Berkers, on the occasion of the launch of the book ‘Dream your own future’. The 3-day event is curated by our President Luisa Bravo. The full programme of the 3-day event can be dowloaded here. ISOCARP – the International Society of City and Regional Planners / UN-Habitat. The symposium includes a session entirely dedicated to students’ research and activities on public space. Using the format of speed presentations, participants will have an in-depth overview of students' research about public space from a various of topics and contexts, such as Italy, USA, Spain, Ecuador, Sweden, Japan, Poland. The students' session will be moderated by our co-founder Valerio Francia. The international workshop will take place on Sunday September 23 at Arsenale, Sale d’Armi G. It is promoted by City Space Architecture in collaboration with University of Auckland, Hunan University and Shanghai University and will engage students in lectures, presentations and a roundtable discussion. The international workshop will be coordinated by Manfredo Manfredini. City Space Architecture hit Australia! Skyline of Brisbane from the terrace of the building hosting the Faculty of Creative Industries, Kelvin Grove Campus of the Queensland University of Technology, Australia. Picture by Luisa Bravo. 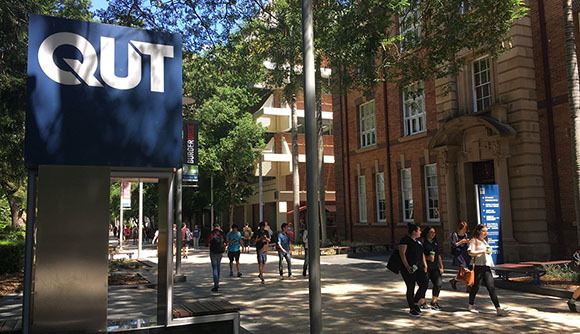 Our President Luisa Bravo had a fantastic experience in Australia as Endeavour Executive Fellow, a prestigious award fully funded by the Australian Government, Department of Education and Training, hosted at the Queensland University of Technology, Faculty of Creative Industries, School of Design. This award was a highly competitive recognition of her efforts in promoting public space culture and curating proejcts and activities at City Space Architecture. From the beginning of March to the end of June she lived and worked in Brisbane and also travelled to Canberra, Sydney, Melbourne and Cairns. She was invited to give lectures by major institutions such as Queensland University of Technology, University of Sydney, RMIT University, James Cook University and Planning Institute of Australia, Urban Synergies Group, Compass Housing. She attended meetings, workshops and events and received a warm welcome from Australian institutions, professionals and scholars. She also enjoyed the Australian beautiful nature and wildlife at the Lone Pine Koala Sanctuary and the endless beaches and astonishing sunsets in Queensland and New South Wales, such as Noosa Heads and Byron Bay. Australia is promoting transdisciplinary innovation in architecture and urban design, so it is a fertile ground for cutting-edge research addressing complexity and creative experimentation. In this context, our global campaign 'Stand up for Public Space! ', that we launched at the Habitat III conference in Quito in 2016, was received with great interest. Read the full list of events our President Luisa Bravo attended as speaker. Entrance of QUT Campus Gardens Point, Brisbane, Australia. Picture by Luisa Bravo. We are extremely glad to announce that our President Luisa Bravo is the recipient of the 2018 Australia Award Endeavor Executive Fellowship, a prestigious grant fully funded by the Australian Government, Department of Education and Training. She is the only Italian among 93 awarded candidates from 25 countries. She will be working for the next four months at QUT (Queensland University of Technology) in Brisbane, developing a research-based professional development on 'public space, social entrepreneurship and smart communities' at the Urban Informatics Research Group, which is a pioneer institution on transdisciplinary research and practice, placed at the intersection of people, place and technology; she will explore how the digital dimension is facilitating people networks, and how it can effectively promote an human-centred approach in the design of public spaces. The Urban Informatics Research Group is part of the QUT Design Lab, which supports transdisciplinary collaborations that result in tangible impact and engagement, acting as a hub and home for a diverse team of academics, research students, and industry professionals, transferring knowledge and technology into beneficial applications for industry and society. Our President received a congratulation letter from the Senator the Hon Simon Birmingham, Minister for Education and Training, Senator for South Australia, for being selected. In this letter the Senator wrote: "The Australia Award Endeavour Scholarships and Fellowsips is a prestigious program offered by the Australian government to support high-achieving individuals to undertake study, research and professional development overseas and gain international experience. Your selection for an Endeavour Fellowship recognises your commitment to outstanding achievement and role as an education ambassador for Australia. Congratulation on joining a selected group of exceptional individuals". For us at City Space Architecture this Australia Award is a very important recognition of our efforts throughout the past 5 years of activities, in networking events, creative projects, academic conferences, research workshops and seminars, aimed at expanding the discussion on public space from academia to industry, professional practice and civil society, through a transdiciplinary approach involving art and architecture. City Space Architecture has been selected to be part of the upcoming Ninth session of the World Urban Forum (WUF9), taking place on 7-13 February 2018 in Kuala Lumpur, Malaysia, convened by UN-Habitat, the United Nations Human Settlements Programme. This ninth session has been recognized by the General Assembly resolution 70/210 as the first session to have a thematic focus on the implementation of the New Urban Agenda (NUA) adopted at Habitat III, the United Nations Conference on Housing and Sustainable Development, held in Quito, Ecuador, in 2016. 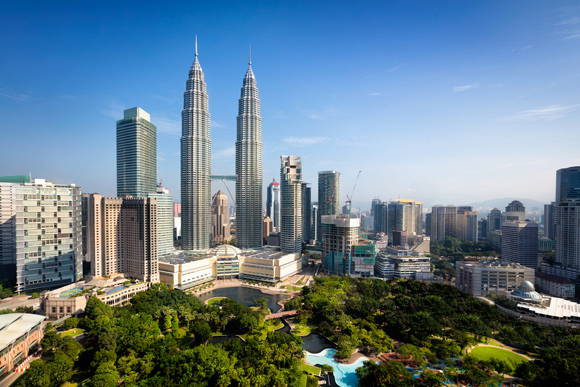 City Space Architecture is among accredited stakeholders and will have an exhibition space at the main venue of the Forum, at the Kuala Lumpur Convention Centre, besides the Petronas Towers. The title of our exhibition is 'We the people, We the public Space', promoted in collaboration with the Queensland University of Technology (Australia), The Chinese University of Hong Kong, the University of Auckland (New Zealand) and Thammasat University (Thailand). The curators of the exhibition are our President Luisa Bravo and our Honorary Member Mirko Guaralda, in collaboration with our Honorary Members Hendrik Tieben and Manfredo Manfredini, and with Winyu Ardrugsa and Jarunee Pimonsathean from UDDI Thammasat University. The organizational manager of our exhibition space is our Founding Member Valerio Francia. We will showcase our international projects on public space, including our successful The Journal of Public Space, and we will spread information about our networking activities and events with global partners, engaging more people on our campaign 'Stand up for Public Space! ', that we launched at the Habitat III conference in Quito. We are among 200 selected exhibitors from 50 countries! We will also coordinate a networking event, the proposal we submitted last November in response to the WUF call, has been selected by the WUF Secretariat, entitled 'We the public space: strategies to deal with inequalities in order to achieve inclusive and sustainable urban environments', taking place at the Kuala Lumpur Convention Centre, on Sunday 11 February 2018, 3.00-5.00pm, room 402. Our President Luisa Bravo will be also engaged in multiple events at WUF9, including a side event promoted by IHC Global at Next City World Stage, a training event promoted by UCLG ASPAC, a networking event promoted by General Assembly of Partners (GAP) Older Persons, a side event promoted by Urban Synergies Group, a networking event promoted by University of Auckland, a side event promoted by KTH Centre for the Future of Places, a side event promoted by the Consortium for Sustainable Urbanization (CSU) and a networking event promoted by Nagrika. Daily updates also on Facebook, follow the event: City Space Architecture at WUF9 and open the tab 'About discussion' to see daily reports of our activities. A full list of our events is available at: www.cityspacearchitecture.org/wuf9.